I'm not usually one for book tags, but I saw Lucy and Jazmen doing this one and it looked like a lot of fun, so I was like what the heck, let's do this. Besides, I am actually having a bit of a mid-year freakout over books (among other things), which is why I've stepped back from things a little and started re-reading, something I rarely do. 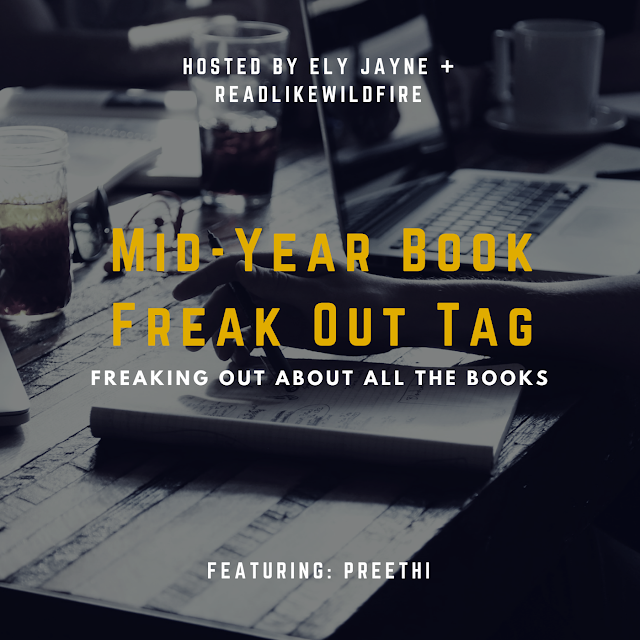 But without further ado, the Mid-Year Book Freak Out Tag, or as I like to call it, the MYBFOT! 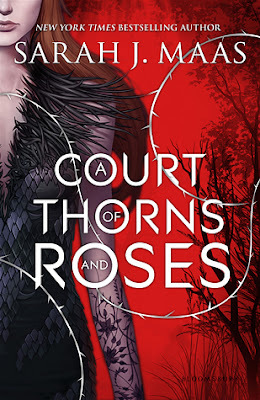 I was looking through all my 2015 reads and it took less than a second to know that ACOTAR is and probably will be my favorite read of the year. 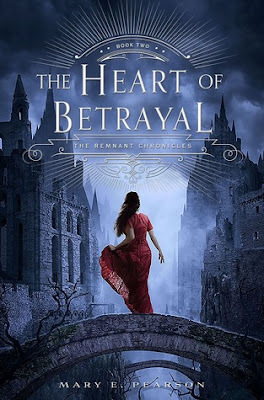 With all the hype beforehand and the tear-jerkers and and swoon-worthy characters *cough* Rhysand *cough* there's no way this book could have been anything but my favorite. I don't think I've ever gushed about a book or lent out a book before more than I have this one (and then hugged it ferociously once I got it back). 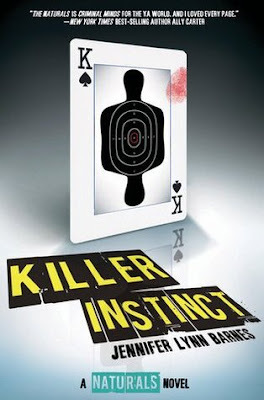 I haven't actually read too many sequels yet this year - fear of the second book syndrome is strong in this one - but out of the very few I have read, Killer Instinct was amazing. No it wasn't perfect, but I suppose that spot is waiting for either Queen of Shadows by Sarah J. Maas or Winter by Marissa Meyer, if not both. 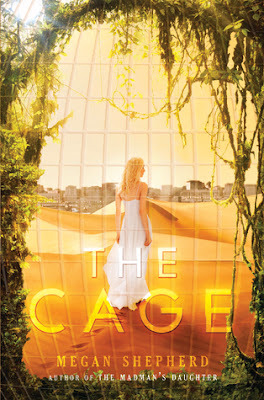 Still, the romantic tension and mystery in this one hooked me, and I can't wait to read the third book later this year! 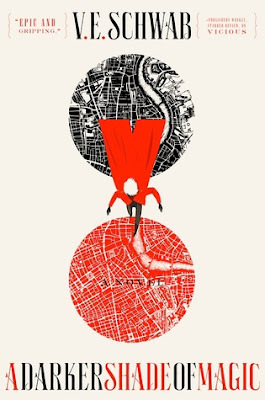 It's true that I didn't love the first book as much as everyone else did, but what with it and its sequel being super hyped up and all after I read book one, there's a very high change I'll end up enjoying this one immensely. I'm really not sure why I haven't read it yet, but I do know that I'll end up reading it sooner or later, hopefully by the end of the year. I've heard about the cliffhanger and I can't wait to see 1) how the love triangle develops and hopefully matures, and 2) where the plot goes. This one was a tough. 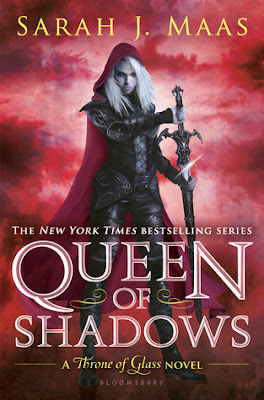 There are sooooo many good books coming out in 2015 part two, but at the very top of those are Queen of Shadows by Sarah J. Maas and Winter by Marissa Meyer. Not only are those authors brilliant and their writing amazing, but the books contain 656 pages and 824 pages respectively. I like big books, and omg those are some big books. In the end though, I'm choosing Sarah's novel because, well, she's Sarah. 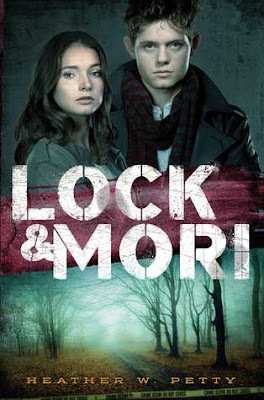 I've said it before and I'll say it again, Lock & Mori has been my biggest disappointment of the year so far. I mean, you can't just promise me Sherlock and give me something that's decidedly not Sherlock! After binging the BBC show earlier this summer I was really looking forward to this adaptation, but it didn't deliver in the least. I could talk your ear off about my feelings toward this book, but for the sake of time, let's move on. I'd read a lot of mixed reviews on this one, but there's no way I would miss out on trying something written by Megan Shepherd, and I'm so glad I didn't. As soon as I had started reading, it was surprising how quickly I was lapping up the story. It definitely surprised me that the novel featured aliens - somehow I just didn't get that from the synopsis - but even more surprising was that dreaded yet freaking awesome cliffhanger. IT WAS SCINTILLATING. This book first caught my attention when I looked at the cover, but people who read this book early didn't mention anything except how lovely the friendship between the two girls was in the story - hearing nothing about romance, I decided this wasn't for me. Later, I picked it up from the library on a whim, and imagine my delight when I realized there was romance. 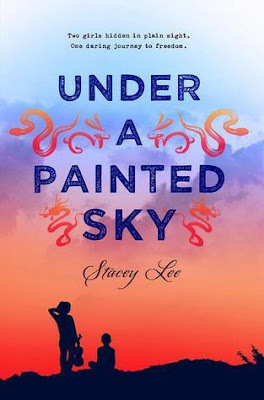 However, while the slow burn romance encompasses the entire novel, the friendship was indeed the most important part, and Stacey Lee has quickly become one of my favorite authors. RHYSAND FROM ACOTAR THAT'S NOT EVEN A QUESTION. I think I'm going to have to go with Rhy from A Darker Shade of Magic. I love pretty much all of the characters in this - they were written splendidly - but recently I've started taking a liking to the side characters more than the main ones, especially the ones with a lot of personality. While Kell and Lila were amazing and oh so essential to the plot, Rhy and Holland are the ones that really caught my attention in the novel. The Harry Potter series, though to be more precise, books 2, 3, 4, and 5 (I haven't gotten to the sixth and seventh ones yet). 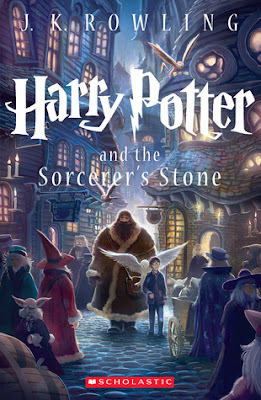 You all know I'm doing a re-read of the HP series right now, and while I got through the first book smiling with eager glee, I broke down during all the subsequent books. By books four and five I was full-out sobbing: I had to use tissues and everything, which I've never had to do before. I swear this series gets more painful every time I read it. 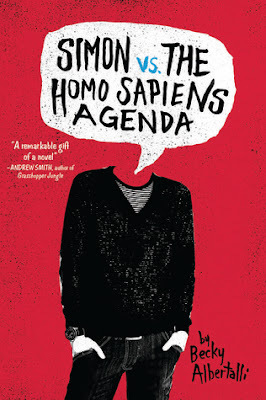 Simon was my first LGBTQ book, and I was surprised by how much I loved it! I did cry at some point during the novel, but I remember being absurdly happy by the end of it. In fact, I even made a Goodreads shelf called happy-happy just for this book, but ended up deleting it later because I never really got the same emotion from any other book (at least not that I paid attention to). This book had me feeling all the happy-happiness in a way that only The Eleventh Hour episode had done before. I didn't love this adaptation, but I guess it's always great seeing Theo James on the big screen. 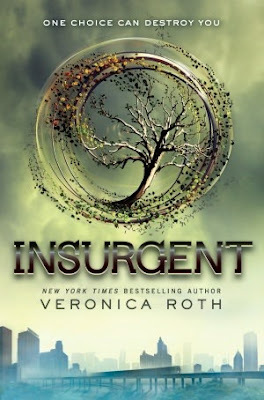 Honestly, Divergent was the only book in the series I really enjoyed, so it makes sense that I barely felt anything for the second movie compared to how much I loved the first. Nevertheless, the only other book-to-movie I watched this year was Fifty Shades of Grey, so you see why I chose this one as my "favorite" adaptation. I think Mockingjay Part 2 will end up being my real fave though. 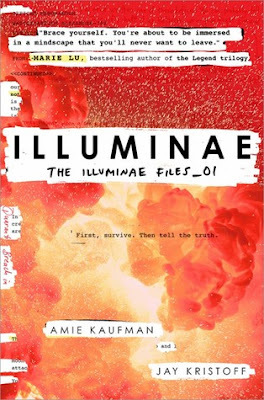 I'm really not comfortable enough in my reviewing awesomeness to have a set favorite post, but after going through the blog a little, I'm going with my review of Illuminae. I was just so crazy excited about the book while I was writing the review, and I've been told it really shows when other people are reading what I wrote. Plus Illuminae is such a great book that I wanted to take the opportunity to tell you that you should read it. While there were so many ridiculously gorgeous covers published so far this year, I'm going with my hardcover copy of The Wrath & The Dawn for my personal favorite from my shelf. 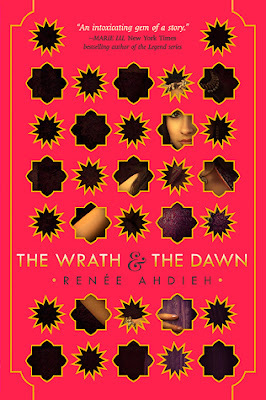 2015 has been a great year for unusually pretty/unique covers - have you seen the UK edition of A Thousand Nights - and this one may just be my favorite. I love how the girl hiding behind the cover is printed on the endpapers of the actual novel; it's just so pretty. 15. What Book(s) Do You Need To Read By The End Of The Year? 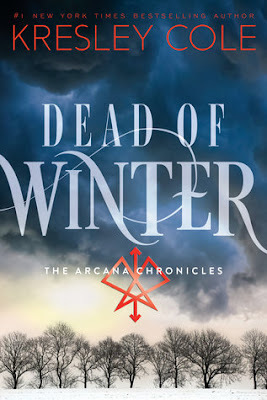 If I'm picking from books that have already been released, then I'm going to have to go with Dead of Winter by Kresley Cole. I've been a huge fan of the series since I first read Poison Princess, and while I was super excited to read this one at the beginning of the year as soon as it came out, I never actually acquired a copy until recently. I can't wait to be in the right mood so I can jump right into this one. I feel like a lot of people have already done this tag, so I'm not going to tag anyone specifically (except maybe Kirsty from Studio Reads because I'm relatively sure she hasn't done it yet). However, if you want to do this tag and need someone to tag you, then consider yourself tagged!